Wildfoot’s Tina Moorcroft took a trip on the new luxury expedition ship “Le Champlain” recently. Here she gives us her thoughts on this groundbreaking new expedition vessel. I had the great pleasure of experiencing a brand-new Expedition Vessel on behalf of our clients; a short expedition around the Norwegian Fjords. This trip started in Bergen and Bergen is known as the city of seven mountains with stunning views across the Byfjorden “the city fjord”. The country has almost 260 days of rain and is very green and lush because of this. If you know the city, you know it is full of brightly coloured wooden houses with a rich history in trade. The Hanseatic League set up its offices in 1360 in Bryggen dominating trade for nearly 400 years and this is now a UNESCO World Heritage Site. Norway protects its fishing, farming and oil which make it one of the biggest Oil producers outside the Middle East. 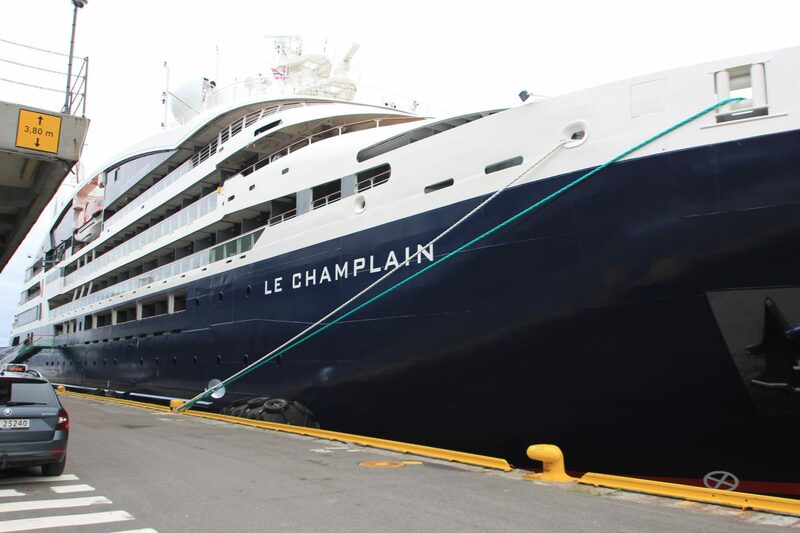 This new luxury expedition ship “Le Champlain” , named after Samuel de Champlain is the latest in the Ponant fleet which is being expanded from 6 vessels to 12 vessels by the end of 2020. We have been in partnership with Ponant for many years and know their fleet intimately. Samuel De Champlain, known as The Father of New France, was a French navigator, cartographer, draftsman, soldier, explorer, geographer, ethnologist, diplomat, and chronicler. He made from 21-29 trips across the Atlantic, and founded New France and Quebec City on July 3, 1608. 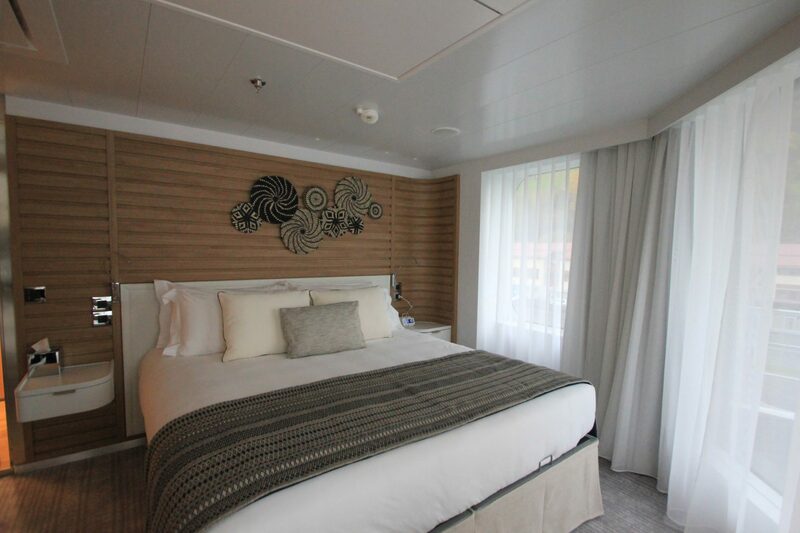 With 92 Staterooms and suites this is the new limited- capacity ship, which means fewer cabins and therefore fewer passengers; there is a great selection of cabins available depending on your requirements. Each cabin has a private balcony or terrace and is furnished with the greatest attention to detail that is expected on board a luxury expedition vessel. With trips within The Arctic & Iceland & Northern Europe; and beyond this ship has a full compliment of itineraries to suit all travellers who enjoy warm or cold climates. Deck 0 – The bottom desk of the ship has a unique multi-sensorial submarine lounge Blue Eye, with a Glass Window in the shape of an eye, this is the place to be to observe any passing wildlife with surround sound from the underwater microphone. Prior to our journey they had recorded whales “talking” to each other and it was amazing to hear. Unfortunately, the Norwegian Fjord was a little green but in clearer seas this “window to the sea” would be stunning. This is the first of its kind and had to undergo rigorous testing and required 18 layers of glass before Ponant were allowed to cut a hole in the hull. In the bar, there are no cocktail shakers allowed as they are deemed too noisy; only peace and tranquillity and an array of drinks which are included in the expedition price (apart from the top shelf drinks which are chargeable) to pass the time! 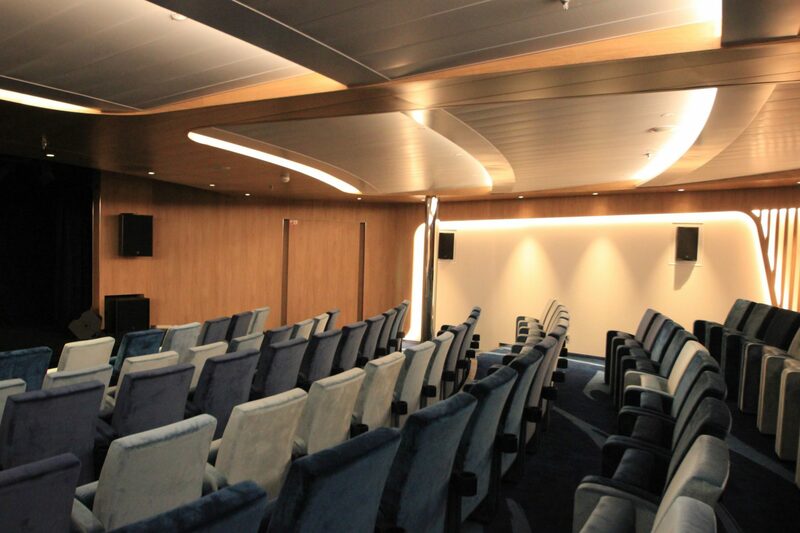 Deck 3 – This is where the Reception and Excursion desks are located with friendly English and French-speaking staff happy to help with any query. There is a staff shop, medical centre, Theatre and Pool Deck with a plunge pool heated to 30 degrees and a Bar Grill should you wish to eat somewhere a little less formal but still receive the standard expected aboard a 5* ship, along with a selection of Deluxe Suites and Prestige Staterooms. Deck 5 – The Bridge is on deck 5 and again, there are a selection of Suites available on this deck. 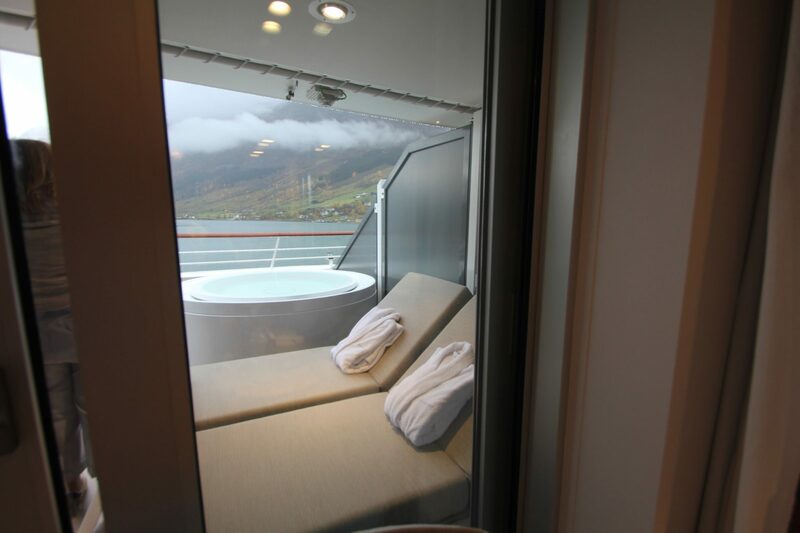 Deck 6 – This is where the Owners suite is located with its spacious lounge area and private hot tub with a view out over the fjord (or wherever you may be in the world). There are also a selection of Privilege, Prestige and Grand Deluxe suites available along with a panoramic lounge with an outdoor seating area and books and games available to pass the time. 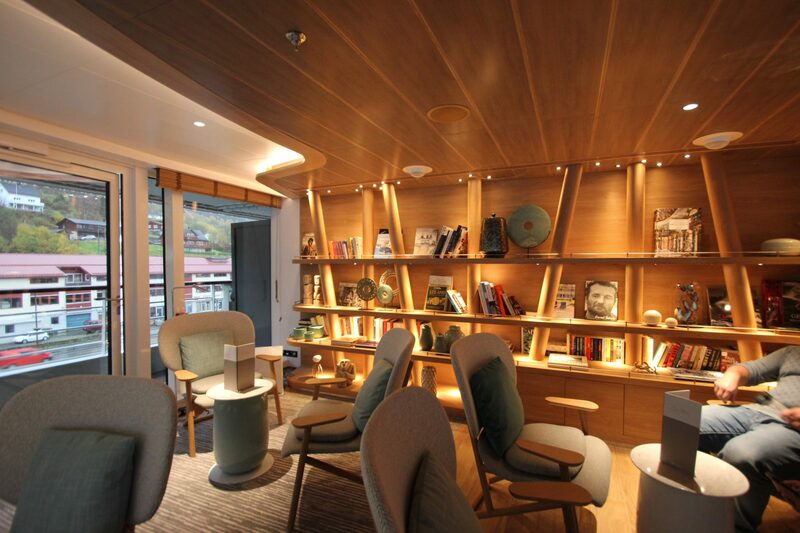 Deck 7 – This is where the spa, hairdressers and fitness area are where you can be pampered to your hearts content. The ship also has the capacity to be able to avoid use of the anchor by using positional navigation; which protects the more vulnerable locations it will visit. 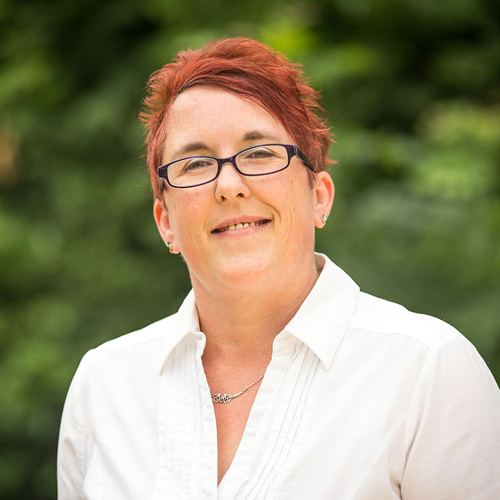 Dining is free seating, so you can sit where you choose, and the staff are more than happy to discuss your requirements to ensure all your needs are met. For Polar Expeditions there are a full team of experts who will accompany passengers on landings up to twice a day. This ship offers 5 star luxury without the compromise of losing the sense of adventure. Wildfoot feature all of these amazing itineraries and we look forward to hearing from you.